How can I reuse or recycle egg boxes? | How can I recycle this? How can I reuse or recycle egg boxes? Turning over our compost bin is a ineffective nightmare. It involves precariously balancing on a metre-high brick wall and digging down, now below foot level, into the flimsy bin without using the sides of it for leverage in any way (because of the aforementioned flimsiness). Needless to say, it doesn’t get turned that often. But every time we do turn it over, egg boxes return to the surface, almost completely unchanged by their weeks of being surrounded by rotting matter. I suspect we would do better if we tore them up or soaked them with water before throwing them in, but it did make me think: they’re clearly not as disposable as I thought, so what else could they be used for aside from the compost heap? Reduce: Local grocers/farm shops that have trays of eggs will often let you refill an old box instead of taking a new one. 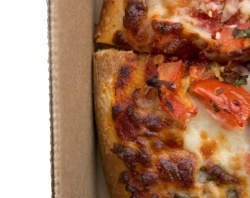 Avoid picking up polystyrene boxes unless you plan to reuse them for new eggs – they have far fewer reuses. Reuse: Like toilet roll tubes, cardboard boxes can be used as pots for seedlings or make into firestarters. They can also be used to soundproof rooms. 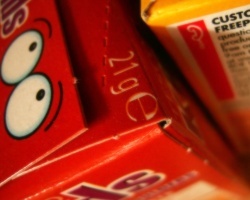 Recycle: Cardboard egg cartons can be added to compost heaps and wormeries – great to soak up excess water. Tear them up if you want them to break down quicker. I cut up the bottoms and use them instead of peat pots in the garden – I uase the tops for that too, just when the bottoms are more convienent because you can plant them in different places rather than all in one lump. I do soak them in water first – they seem to be a lot more water resistant than they used to be these days. I keep mine in one piece to start onion sets off – one onion per compartment. That way, I can successively grow them in batches. I do the same for chitting seed potatoes. Use them to play Mancala. We’ve quiet successfully used many egg boxes to sound-proof our garage before now. 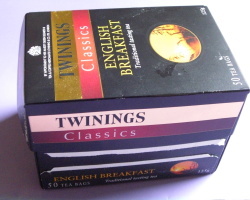 The shape of the bottom half of egg boxes makes them quite good at absorbing sound. They work great for painting! I used to use them to collect rocks and shells and such. Little treasure boxes! If you know anyone who keeps a few chickens – not a big farm, just a few in the garden – then hand them over! You will probably get a few eggs in return if you keep it up. When you keep chickens you stop buying eggs so you run out of eggboxes really quickly, especially in summer when you have more eggs and give them away more often. Small farmers selling at the farm gate will also be grateful. ALSO! I use egg boxes to prop up my potatoes while they are chitting. Then they go back to being egg boxes. ALSO! The 1 dozen size is perfect for painting green and making a crocodile puppet! I make fire starters from them. Fill each cup and the top with dryer lint. Save your candle stubs, melt them in a clean can (I don’t recommend coffee cans due to the rim) and pour over the lint. You’ve now recycled 3 items and can get a wood or charcoal fire started easily without the danger & smell of lighter fluid. my friend told me that it is good in soundproofing…. i didn’t try it but..some says it is very effective…. I use them to eat my boiled egg out of,who needs to go and bye an egg cup! I halve them and use the top of the carton (flat side) in my kitchen as liners for bottles of oils and sauces (they absorb these great!) and the bottom (pack of 6 or 12) as storage and dividers in my bathroom and dressing table for: jewellery, contact lenses (plastic ones work a charm for these), aromatherapy oil bottles, small tubes and gels etc. You can make lamps and decorate stings of lights with them. Schools love them for junk craft, espesciall since not all eggs are sold in cardboard packs these days. I like to fill them with dog mess and then go down to the city and fire them at bankers. Keeps your fingers nice and clean! Simple a window sill herb garden tray. Bit of compost and seeds BANG window sill garden. Once used on to the compost pile. Or coat the outside with pva glue to reuse time and time again! Mix some paint with the glue to match your kitchen colour! If you have one of the little ones (they hold like four or six) you can use it to hold the one or two eggs that is always left from the dozen without taking so much room like if you kept it in the big one. Also can be made into a cute caterpillar for the kiddies. I cut the bottom of a margarine tub off to make a tray and then put a ‘sheet’ of eggbox packaging in it , add water , cress seeds and sunlight for a couple of weeks to get a tasty salad. 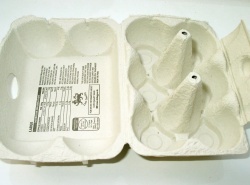 styrofoam egg boxes: for shipping–firm enough yet not like styrofoam “peanuts” which spill all over. Keep matches in them, candles, may be some valuables or anything you want to be dry, in case of flood and keep out in an open, better also inside the plastic beg. During the flood or may be river crossing they will simply float without getting wet. Kids love making glasses out of egg boxes. Parents not so much the tidying up.